Our family has a shared passion and love for music, there is never I time you will enter our home and not hear the sounds of music coming from Pandora. I love the mood it sets in our home, I enjoy watching my toddler dance to her favorite tune and my heart melts when I hear my children sing songs together. My oldest came home from school a few weeks ago and declared that it was officially time for Christmas music. She has since been our unofficial DJ in the home and we have been enjoying the sounds of Christmas music most of the day. All of this Christmas music has really inspired me to get festive around the house and come up with a craft for the season. 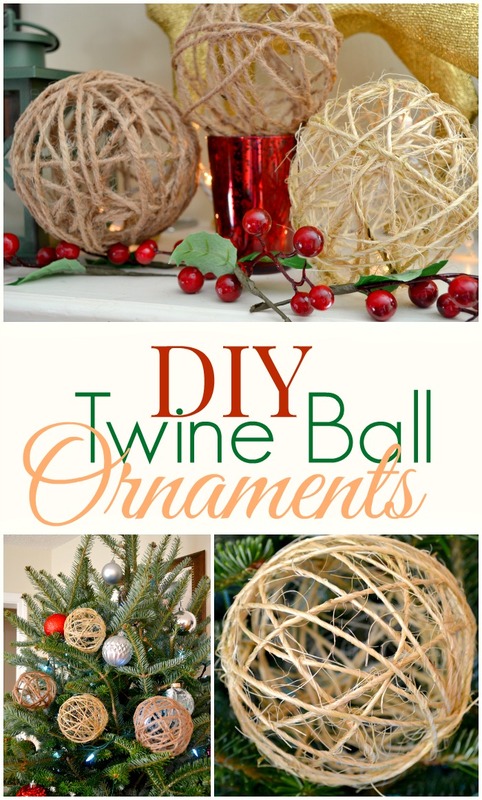 I came across these amazing DIY twine ball ornaments, they seemed simple enough and looked really amazing. Little did I know this would turn into an all weekend adventure, but one that our family enjoyed every minute of! This past weekend I watched every twine ball tutorial, read dozens of craft posts and created a handful of fails. 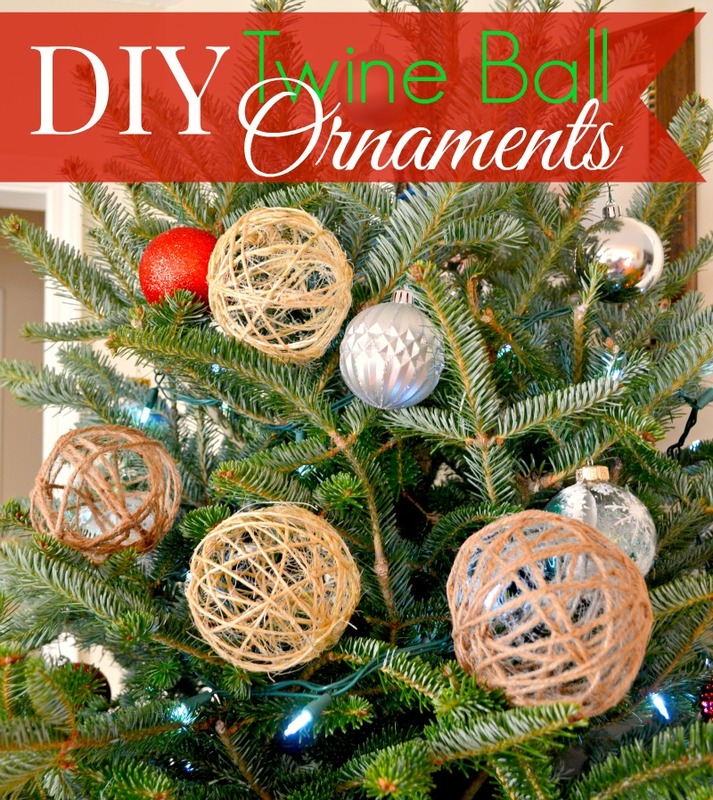 I tried every method and after much trial and error I am thrilled to share with you the most successful process of creating DIY twine ball ornaments! I will leave as much details as possible throughout my post so you can avoid any of the fails and mistakes that occurred for me. So here we go friends, let me show you how to make these beautiful ornaments that friends and family will think are store bought! 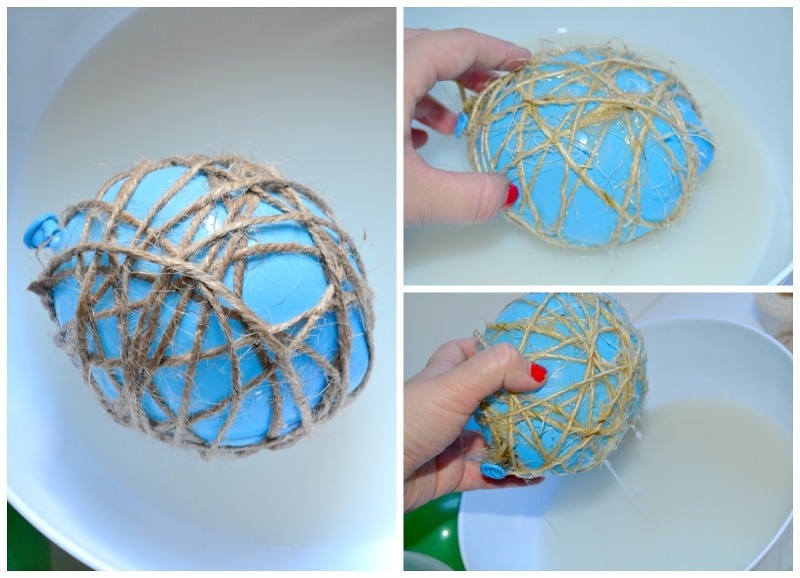 I attempted to use Mod Podge… plastic wrap… vaseline… and various mixtures of what others suggested would create a twine ball… all of which did not work for me. I finally came across a tutorial that required one ingredient, it seemed far too good to be true, but what did I have to lose? Turns out, it works like a charm and it was the easiest method I had attempted! 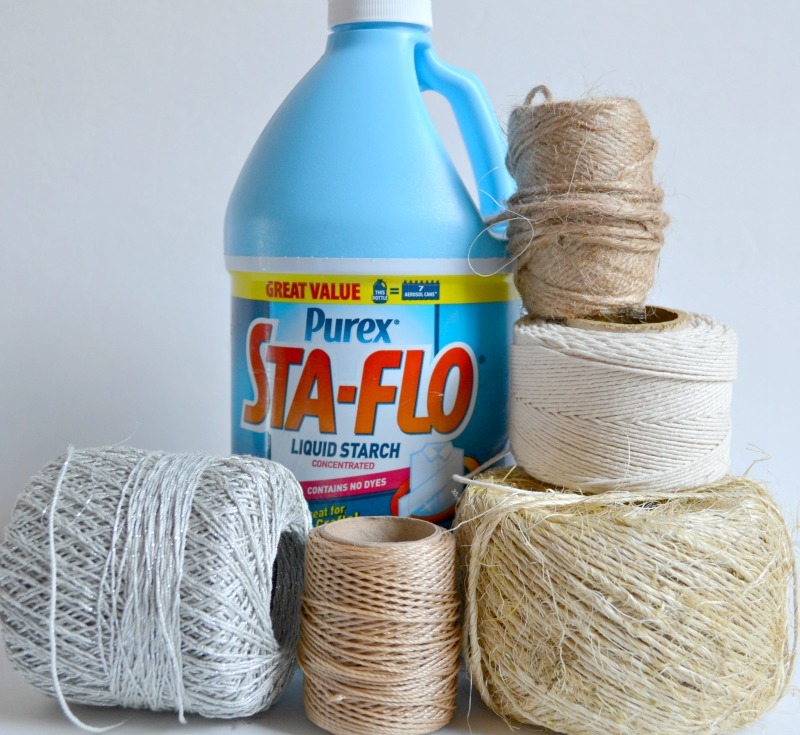 All you are going to need for this DIY is liquid starch (you can find this at Walmart in the laundry section for less then $3), small balloons, and various twine. If you have a gaggle of adorable kids, then this is where they come handy! 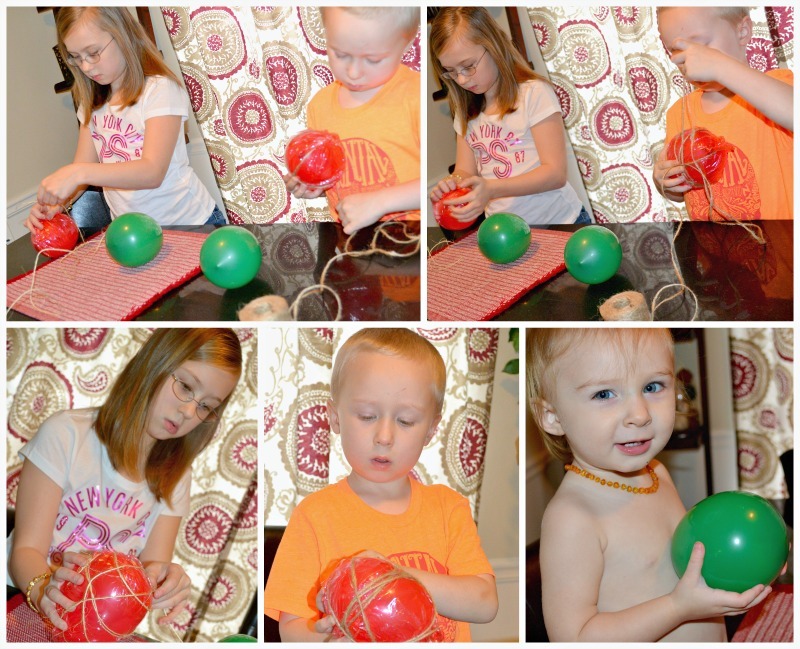 Have them wrap the balloons in twine, this is a very simple task and they really enjoyed it. the twine doesn’t have to be wrapped in any particular way, you don’t have to use a certain amount, just go for it! Just look at the concentration! I swear my kids could have done this for hours! 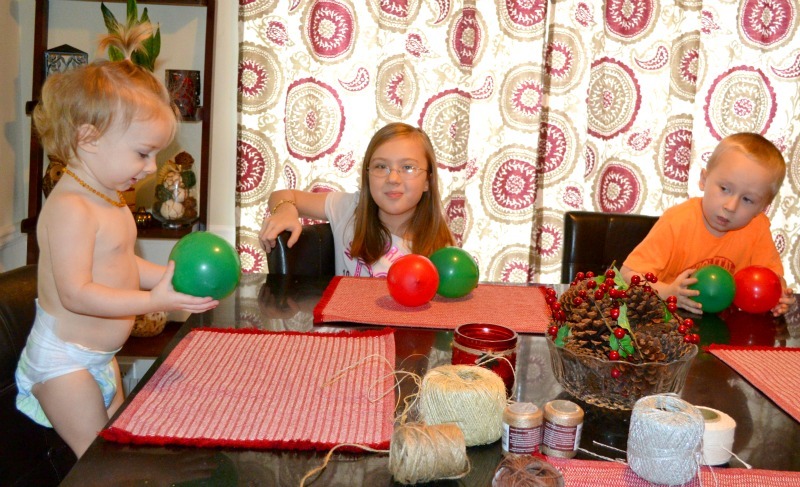 Once the kids are done wrapping the balloons in twine, tie the end to keep the twine in place. The next step is to pour your liquid starch into a bowl, you are welcome to have the kids join in if you aren’t afraid of a little mess! 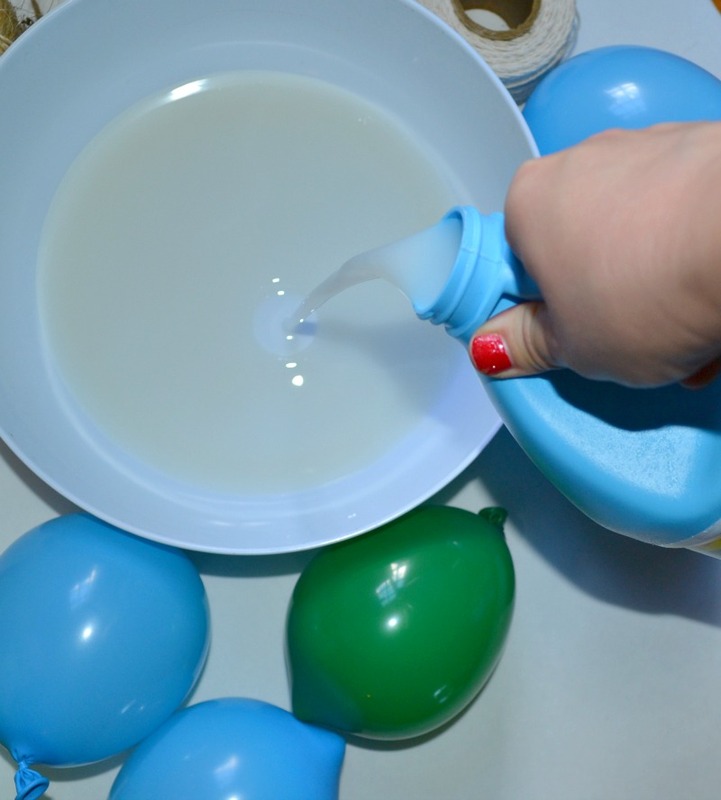 Roll your twine wrapped balloon in the bowl, don’t be afraid to get is completely saturated in the starch. I actually waited a few hours and dipped them again to ensure they were very sturdy once finished. So the next day has arrived and it is time for the very final step. Check out the video below to see the balloon popping in action, it is so worth the wait!! 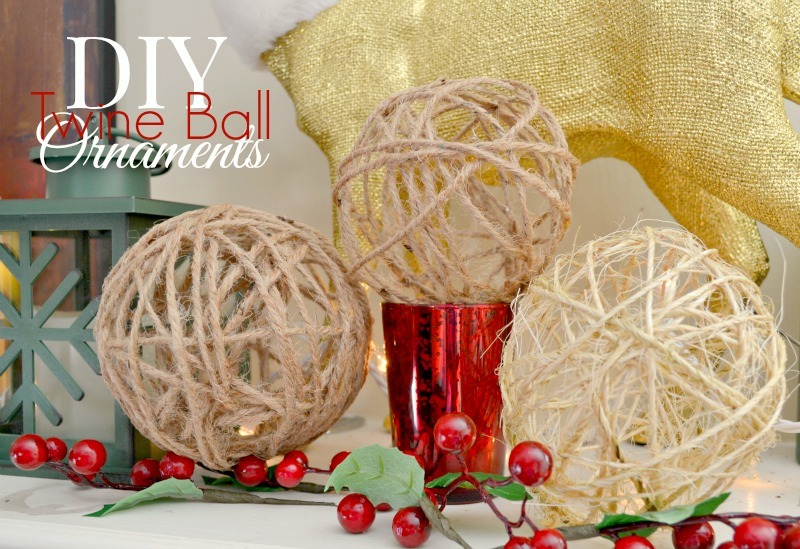 These twine ball ornaments came out so great, they were really inexpensive to make, simple for anyone to attempt and most importantly… it was fun for the entire family! 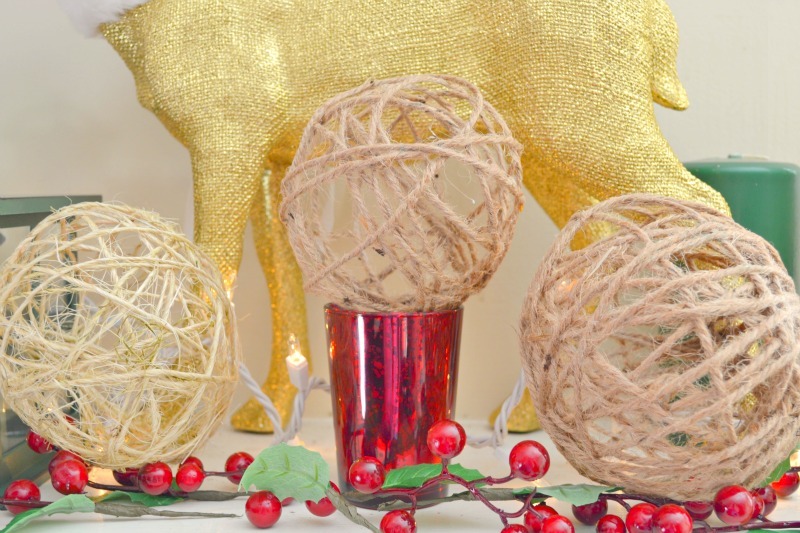 Ihope you enjoyed this tutorial and create these DIY twine ball ornaments with your family! These could be made all throughout the year for each holiday and I can’t wait to make more now that I have found an easy way to make them!